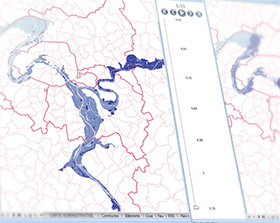 With the expansion of high technology in China, Geographical Information Systems (GIS) software will begin to integrate within other software applications and step into mainstream technology. 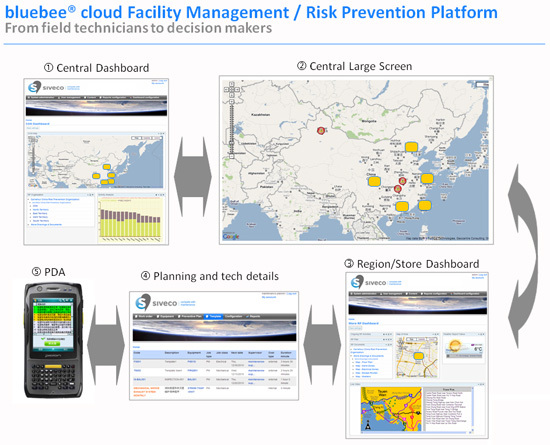 bluebee® cloud, produced by Siveco, is a smart and efficient platform for facility management and risk prevention, which includes one of the most proficient GIS softwares on the China Market: Geoconcept GIS. The Annual Partner Convention of the GEOCONCEPT Group will be held on Thursday 25th April 2013 in Paris from 09.30 am to 05.00 pm. Developed in partnership with CGx system Geoconcept Mobile is an application available online and offline, allowing information viewing and editing on iOs and Android platforms. This month Geoconcept is featured in an article by Siveco, one of China’s largest maintenance companies. Geoconcept provides embedded GIS components for the maintenance platforms bluebee® cloud and bluebee®. The Siveco artice focuses on the scheduling and optimization tools made available for bluebee® cloud. The 4th annual supply chain & logistics showcase was hosted on March 13-14th at the Hongqiao Marriot in Shanghai, China by the JFPS Group. This is one of the most influential events in Asia that has been dedicated to enhance the supply chain & logistics fields. This event took focus in 3 main industries: Consumer Goods & Retail, Hi-tech & Electronics and Pharmaceuticals. In each respective industry, several high-ranking keynote speakers were invited to share their practical experience and deep insight in the supply chain management, demand forecasting, inventory management and logistics management. Every year, GEOCONCEPT holds an annual conference, Geoworld, for its global partners and users in Paris, France with this years conference being held November 27th. At Geoworld, participants are able to reflect on their GEOCONCEPT experience from the previous fiscal year as well as learn about and understand future industry trends. Geoworld provides its audience with gift bags, demonstrations, user experiences, new trends, training and much more! Compatible with Windows 8, the new Geoconcept 7.1 engine will enable GEOCONCEPT users to take advantage of new functionality to boost their organisation’s efficiency. Paris, France 27 November 2012 : GEOCONCEPT, the leading designer of geographical optimisation technologies for professionals, today announced the launch of Geoconcept 7.1, the new version of its technological geo-optimisation engine. The engine’s new functionality will be available in all the business applications offered by GEOCONCEPT (geo-marketing, mobility, territory management, crisis management). This new version will be available for sale and downloadable from the publisher’s website from the end of November 2012 onward. NAV2, a Shanghai-based joint venture between Nokia Maps and NavInfo, held their annual "NAV2 User Group" at the grand XiJiao State Guest Hotel in Shanghai, China. The central focus was on their extensive showcase demonstrations, containing keynote speeches about the latest trends in digital navigable maps, LBS (Location Based Service) solutions, and GIS (Geographic Information System).